We are pleased to share the results of the 2017 International Schools Assessment, the standardised test taken by Cedar students in Grades 3, 5, 7, and 9 each year. 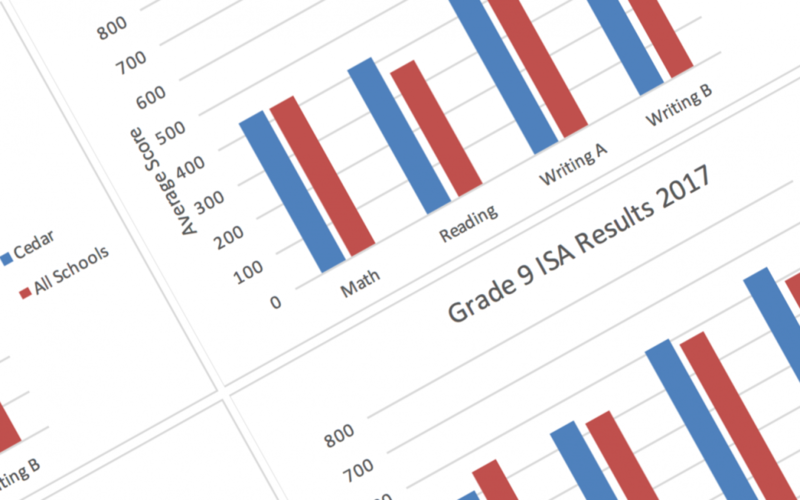 The aggregate scores for those classes provide helpful information for the school and parents alike about the effectiveness of our programmes – where we are strong, where we can improve – while providing data as to how our students perform relative to their international peers. As in previous years, the results inspire confidence that Cedar students stack up well against their global peers, while giving us focus areas for further development of programmes. Aggregate results are available to download below for your information. Please note that individual results are sent home to parents separately.